Our 2014 Mazza Chautauqua Cellars Riesling (Medium Sweet) is BUY ONE GET ONE FREE for a limited time only at Mazza Chautauqua Cellars / Five & 20 in Westfield, NY. Stop by soon to stock up! 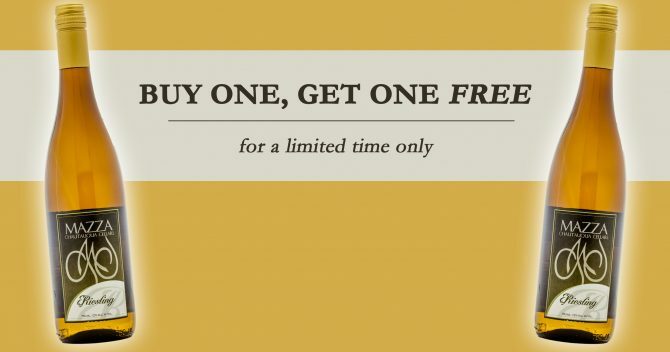 Quantities purchased with the BOGO special will not count towards quantity discounts (half-case or case discounts).